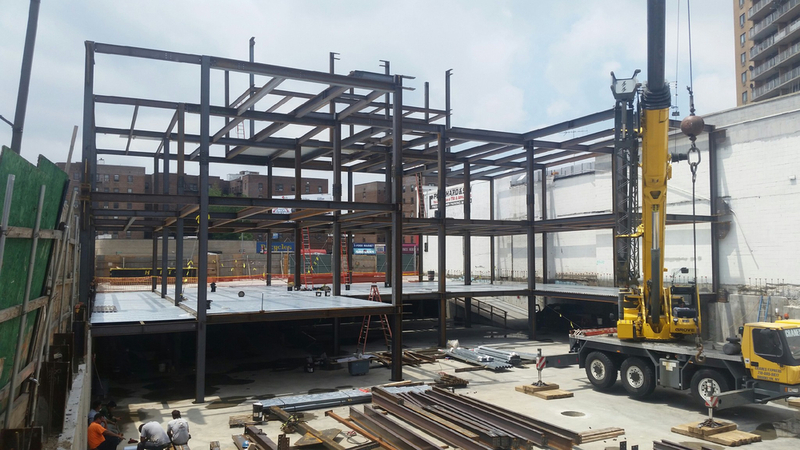 You've heard it before but it's true that every great project starts with a great location - 9277 Queens Boulevard in Rego Park to be exact. Conveniently located just south of the Long Island Expressway, including a short 20 minute subway ride into Manhattan, this location was begging for redevelopment. What once was a decrepit nite club and carwash is now home to one of the only drive through Starbucks in the area, a plush 50 room Wyndham Garden Hotel, Retro Fitness, retail space and a 77 car underground parking garage. Through all stages of construction, MATT Development managed and oversaw our latest project through to completion. 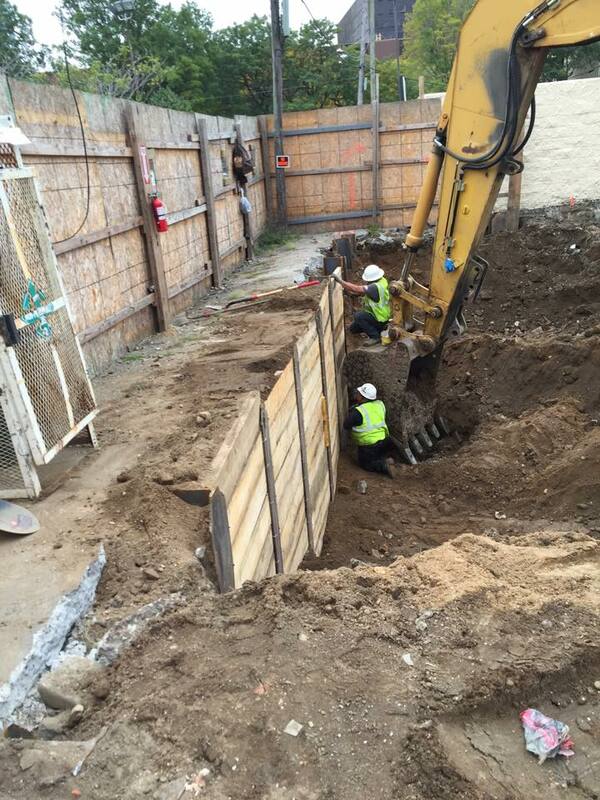 From foundation to framing to finished product - we're proud of our work. Located next to a park, close to major NYC airports, world class shopping and multiple event venues, the Wyndham Garden Hotel was designed with amenities every guest will find comfort in. From the room finishes and third floor terraces to the Hotel's chic, urban, BLVD Bistro & Bar, on-site Starbucks, and Retro Fitness where guests can workup a sweat during their stay, the property has something for everyone. 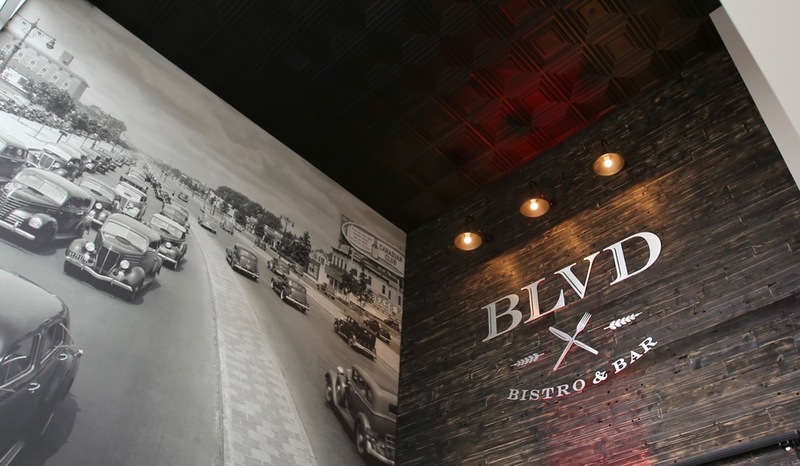 We're pleased with the final product that is BLVD Bistro & Bar. Accessible from the Wyndham Garden LaGuardia South lobby, it has a simple, comfortable and chic atmosphere where Wyndham guests, Retro Fitness guests and locals can enjoy refreshing, original meals and cocktails. 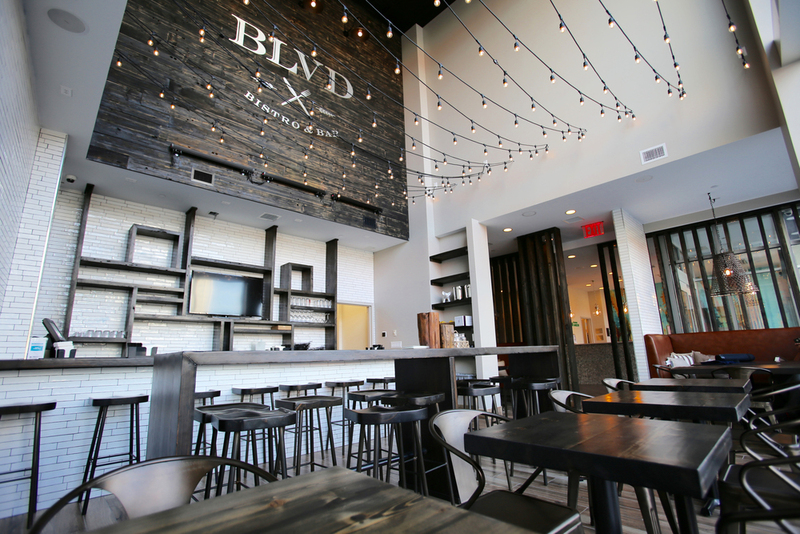 BLVD Bistro & Bar is a blend of modern and rustic decor utilizing eco-friendly reclaimed lumber from the Black Lumberjack. Look him up, he's real. Not only is the Starbucks at our property the largest Starbucks in the area, it also boasts the only drive through in the Queens. It's convenient for residents and travelers alike. Serving Starbucks Reserve coffee and oven warmed food, it's a great place to relax and refresh and makes a great addition to the area. The Retro Fitness located on the second floor of the building is focused on high energy workouts and getting people results. It features state-of-the-art equipment, group fitness classes and a Retro Blends smoothie bar to keep guests fueled and ready for anything.